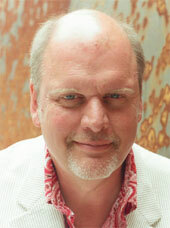 Michael Daugherty is one of the most colorful and widely performed American composers on the concert music scene today. Hailed by The Times (London) as "a master icon maker" with a "maverick imagination, fearless structural sense and meticulous ear", he first came to international attention in the 1990s with a series of witty, dark-humored, brilliantly-scored pieces inspired by 20th-century pop-culture phenomena such as the Metropolis Symphony. His idiom bears the stamp of classic modernism, with colliding tonalities and blocks of sound; at the same time, his melodies can be eloquent and stirring. Daugherty's works for orchestra, wind ensemble and symphonic band, opera, and chamber ensemble are rich with cultural and political allusions, and have been performed by major ensembles around the world. His works for wind ensemble and symphonic band include Desi (1991), Bizarro (1993), Motown Metal (1994), Niagara Falls (1997), Red Cape Tango (1999), UFO (2000), Rosa Parks Boulevard (2001), Bells for Stokowski (2002), Brooklyn Bridge (2005), Ladder to the Moon (2006), Raise the Roof (2007), and Asclepius (2007). Born in 1954 in Cedar Rapids, Iowa, Daugherty is the son of a dance-band drummer and the oldest of five brothers, all professional musicians. He studied music composition at the University of North Texas (1972-76), Manhattan School of Music (1976-78) and computer music at Boulez's IRCAM in Paris (1979-80). Daugherty received his doctorate in composition from Yale University in 1986 where his teachers included Jacob Druckman, Earle Brown, Roger Reynolds, and Bernard Rands. During this time he also collaborated with jazz arranger Gil Evans in New York and pursued further studies with composer Gyorgy Ligeti in Hamburg, Germany (1982-84). After teaching music composition from 1986-1990 at the Oberlin Conservatory of Music, Daugherty joined the School of Music at the University of Michigan (Ann Arbor) in 1991, where he is Professor of Composition. Daugherty has received numerous awards for his music including the Stoeger Prize from the Lincoln Center Chamber Music Society, the American Academy and Institute of Arts and Letters, and fellowships the National Endowment for the Arts, Fulbright and Guggenheim Foundations. He has been the Composer-in-Residence with the Louisville Symphony Orchestra (2000), Detroit Symphony Orchestra (1999-2003), Colorado Symphony Orchestra (2001-2002), Cabrillo Festival of Contemporary Music (2001-04, 2006-07), West Shore Symphony Orchestra (2005-06), Eugene Symphony (2006), and the Henry Mancini Institute (2006). Daugherty was named the 'Outstanding Classical Composer' at the 2007 Detroit Music Awards and was selected by The Delaware Symphony Orchestra as the winner of the 2007 A. I. duPont Award. Michael Daugherty's music is published by Boosey & Hawkes and Peermusic Classical. 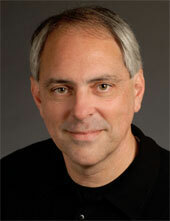 Michael Haithcock assumed his duties as Director of Bands and Professor of Music (Conducting) at the University of Michigan in the fall of 2001 following twenty-three years on the faculty of Baylor University. Following in the footsteps of William D. Revelli and H. Robert Reynolds, Professor Haithcock conducts the internationally renowned University of Michigan Symphony Band, guides the acclaimed graduate band and wind ensemble conducting program, and provides administrative leadership for all aspects of the University of Michigan's diverse and historic band program. Ensembles under Haithcock's guidance have received a wide array of critical acclaim for their high artistic standards of performance and repertoire. These accolades have come through concerts at national and state conventions, performances in major concert venues, and recordings on the Albany, Arsis, and Equilibrium labels. Professor Haithcock was selected to conduct the world premiere of Daron Hagen's Bandanna, an opera for voice and wind band, commissioned by the College Band Directors National Association, and is a leader in commissioning and premiering new works for concert band. Haithcock has earned the praise of both composers and conductors for his innovative approaches to developing the wind ensemble repertoire and programming. Professor Haithcock is in constant demand as a guest conductor and as a resource person for symposiums and workshops in a variety of instructional settings as well as festival and all-state appearances throughout the country. A graduate of East Carolina University, where he received the 1996 Outstanding Alumni Award from the School of Music, and Baylor University, Haithcock has done additional study at a variety of conducting workshops including the Herbert Blomstedt Orchestral Conducting Institute. The Instrumentalist, the Michigan School Band and Orchestra Association, the School Musician,the Southwest Music Educator, and WINDS magazine have published his articles on conducting and wind literature. Raise the Roof is available for purchase from the iTunes Music Store. Audio and video previews of all selections are also available in the BlockM Records catalog.